People often refer to divorce as the entire case, including the multitude of issues that arise upon the breakdown of a marriage. However, the divorce is often the last step in a case, after all the other issues – like child custody, child support, spousal support, and property issues – are dealt with. Divorces in Canada are governed by legislation called the Divorce Act. The Divorce Act applies to all married spouses across Canada who are separated or are getting divorced. The Divorce Act is applied in every province and territory. The Divorce Act provides rules on when the court has jurisdiction to grant a divorce, guidelines for ordering spousal support, and addresses custody/access issues, as well as other “corollary” issues to the divorce. Corollary issues are things like child support, spousal support and custody. In Ontario, property division, on the other hand, is dealt with under the Family Law Act, as provinces have jurisdiction over matters relating to property and civil rights. Cases under the Divorce Act are handled by the Superior Court of Justice. The divorce itself involves swearing information before the court, either in writing or orally, and a judge granting an order divorcing the spouses. In Canada, a divorce normally takes effect on the 31st day after the decision is made, in order to ensure there is no appeal. It is rare for spouses to appeal a divorce order. The divorce process can in many circumstances be done all in writing. Modern Family Law can help you obtain a simple divorce for a block fee if there are no other issues in the case. What is the cost of a divorce lawyer? On the other hand, a divorce case with a lot of issues is more complicated than a simple uncontested divorce. The length of time for a divorce case varies according to a number of factors, including complexity, animosity between the spouses, the issues in dispute, the reasonableness of the parties and their counsel, and the desire of each the parties to move on with their lives. Divorce cases can take anywhere from months to a more lengthy period of time. When both parties are motivated to make compromises and settle, the case can often be settled relatively quickly. The cost of a divorce lawyer also varies. The hourly rates of a divorce lawyer vary depending on years of experience and other factors. In certain circumstances, we will provide a “block fee” quote for clients. The cost for a case from start to finish, and the retainer that has to be provided, also varies from case to case. Modern Family Law lawyers always try to provide value to the client for fees. At Modern Family Law, we try to use technology and efficiency to reduce costs to clients where possible. 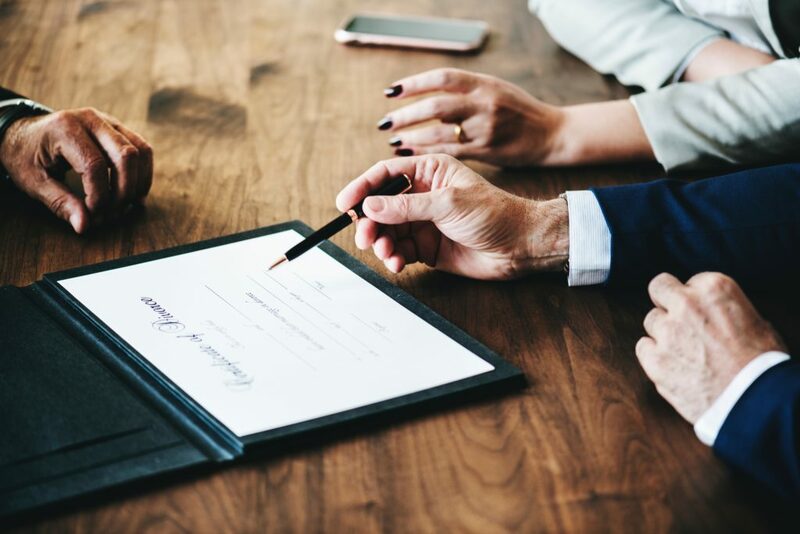 At Modern Family Law, we strongly recommend hiring a lawyer to assist you with your matter, whether you are involved in court proceedings or trying to amicably negotiate a resolution. We have seen many instances of people who think they can handle their own cases, only to come to a lawyer very disadvantaged because of those efforts. In family law and divorce law cases, interim decisions, and especially those early on, can often create lasting situations as they create a “status quo” which can be difficult to change. Just like you would not fill your own cavities and would hire a dentist to fix your tooth, it is important to hire a lawyer to represent you. The Family Law Rules and the Rules of Civil Procedure, being the procedural rules of the court, are difficult to navigate. There are many rules and timelines that litigants have to follow and there can be significant consequences for not doing so. In addition, how your case is presented is extremely important with respect to how the judge views the competing narratives of the situation. You have a busy life and do not want to get bogged down with learning an entirely new system of rules and procedures. You do not want to try to draft your own court documents when you are unsure how to do so. Critically, we strongly discourage parties from entering into separation agreements or consenting to court orders without first having the benefit of having lawyer provide independent legal advice and assisting you in drafting the terms of the agreement or consent order. You need an experienced and compassionate lawyer to do this work for you and guide you through the difficult process at this time in your life. Our Toronto Divorce lawyers have significant experiences in family law – we have represented men, women and children in cases with a multitude of different issues. Modern Family Law lawyers provide caring representation to clients in this unique area of law which requires both sensitivity, toughness, intelligence, and objectivity. When you meet with a Modern Family Law lawyer, we immediately assess your goals for the case and for your future, identify what needs to be done, and what documents you need to obtain. Getting organized from the beginning is a critically important to reducing your costs and ensuring that your divorce case is handled properly. Modern Family Law provides a tailored approach to your case, as we understand that each case is unique and does not fit into a “cookie cutter” mold. Everyone has different goals and objectives for their separation case, and lawyers at Modern Family Law understand that. Modern Family Law is your source for all matters relating to your separation and divorce matter.